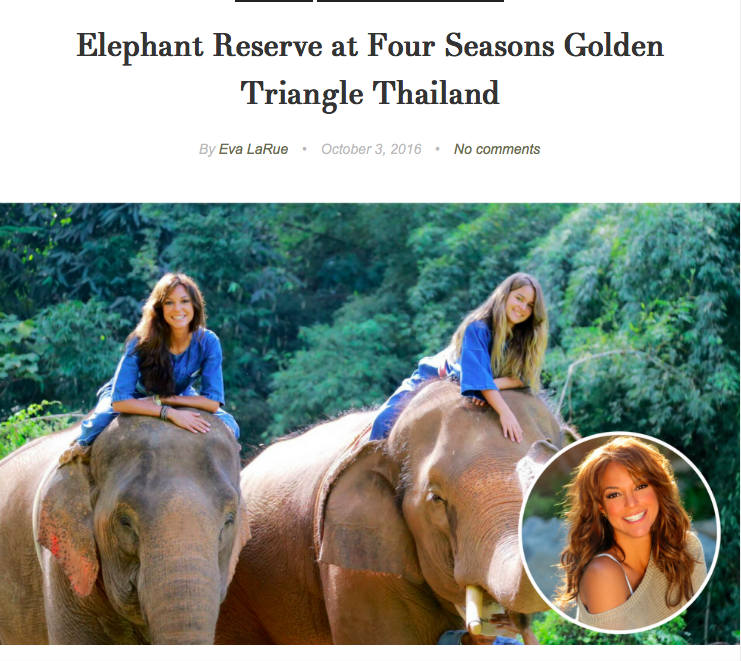 Check out her amazing video from Thailand while riding elephants! This entry was posted in Status and tagged .Luxury, All My Children, CSI:Miami, Eva La Rue, Thailand, Travel Ambassador, Turk PR. Bookmark the permalink.